This has been a long time coming, but I still remember it was a cold and wet day in January. Looking out the window on that day all I could see was rain, rain and more rain… the rain hasn’t stopped for few days. This is one of those days where I’m craving for a bowl of hot spicy noodles soup. I don’t have instant ramen or noodles in my pantry, but the hunger controlling my mind. I can’t think clearly… I have to eat spicy noodles soup, even if I have to make my own noodles.While the dough rests in the fridge, I start making the basic dashi broth. I love using bonito flakes, and kelp to make the broth, as it really enhances all the flavours, adding depth exactly where it needed. 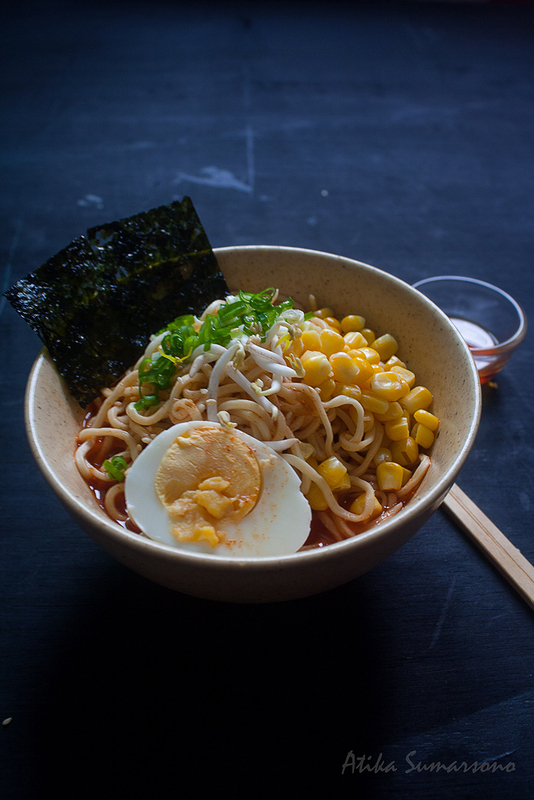 Find Spicy Gochujang Ramen in my new blog.